Banksy wall art sticker - One of the mysterious painter´s most recognised works. Banksy is a famous artist whose work is a critique of the current state of politics, economy, military conflict or the treatment of third world countries. 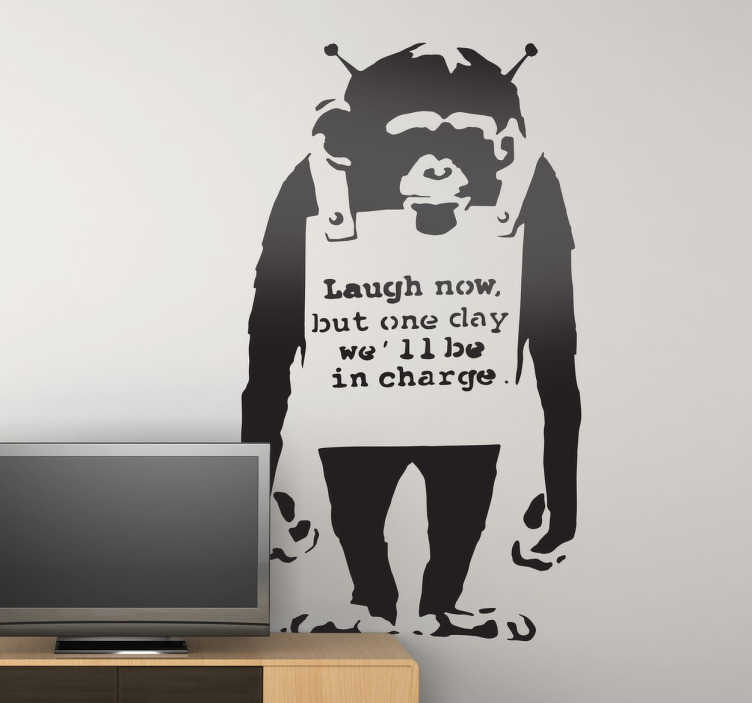 In this design you can see a laboratory monkey wearing a sign that says: "Laugh now but some day will be in charge." Part of our collection of street art wall stickers which you can decorate any room with. Our stickers come in various sizes and are easy to apply.